The celebration of North Carolina’s Fayetteville Motor Speedway’s Golden Anniversary season continues with another top-flight event, the 4th annual Cash Money 100 on Friday-Saturday, October 12-13, 2018. 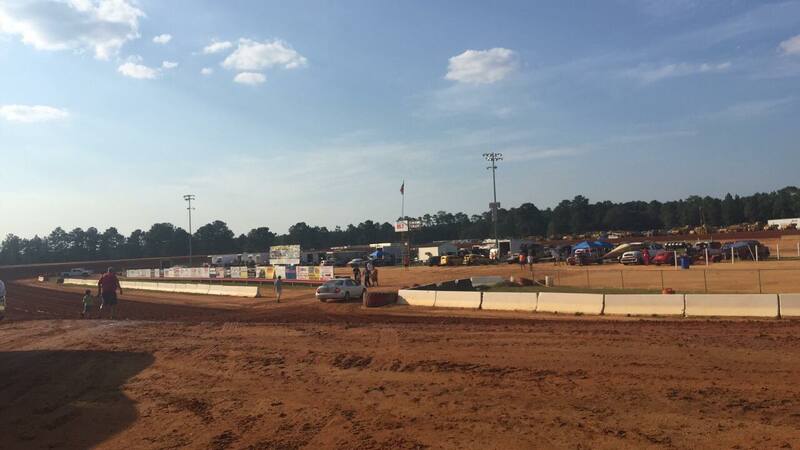 Fayetteville, North Carolina is known as “Boom City” due to its military ties, and Fayetteville Motor Speedway has sounded an explosion heard throughout the dirt track world. The 100-lap, annual Cash Money event has seen a huge payout increase and will pay a whopping $25,000 to the winner and $1,200 just to take the green flag in the finale. In year’s past the finale paid $10,000-to-win. The Cash Money 100 is for Steel Block Late Model cars that are the top division at many of the country’s dirt tracks. Long said he is hoping the big-money purse will entice some of the current and past World of Outlaws and Lucas Oil Late Model Dirt Series regulars to participate. Among those having already expressed interest is Senoia, Ga., racer Clint Smith, won won the Southern All Stars Series championship in 1992-93, 2000 and 2003. “Several Super Late Model teams are looking for engines. It’s an ‘off’ weekend for them and the weekend before the Dirt Track World Championship,” Long noted. The Cash Money 100, a tribute to the late Ricky Sullivan Jr, a racer from Wilmington, N.C., has drawn larger fields each year. In 2015, the Cash Money 100 was the first 100-lap race at Fayetteville’s 4/10ths-mile oval in more than two decades. Russell Erwin of Beaver Dam, Va., emerged as the best of the 38 entrants, winning the $10,000 first prize over Ricky Weeks of Rutherfordton, N.C., and Willie Milliken of Roanoke Rapids, N.C. In 2016, 42 competitors showed up for the $10,000-to-win contest. Justin Williams of Concord, Va., crossed the finish line first, but his car failed post-race inspection. The win was awarded to former Carolina Clash champion Ben Watkins of Rock Hill, S.C., while Erwin finished second and Shaun Harrell of Raeford, N.C., was third. Last year, Milliken led all 100 laps to emerge as the $10,000 winner out of 49 drivers. Watkins was second and Matt Long of Concord, N.C., was third.